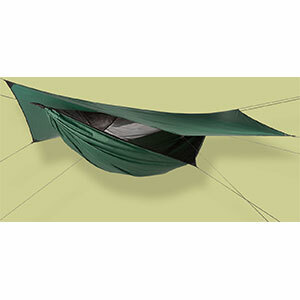 This hammock is the absolute best and lightest hammock system I have tested and used on the trail. I highly recommend it. The weight rivals that of a tarp tent but the sleep it affords is unbeatable. If I could pass along one bit of advice, it would be to practice extensively with setups at home before you take it to the woods. A hammock is not a hanging tent, and if approached in that manner, will lead to disappointment the first time it is used. Everyone has their own sweet spot that allows them to sleep comfortably. I found mine with a long (non stretchable) suspension, a loose hang, and hanging my feet a little higher than my head. The user can cook under the rain fly. No one should ever cook in a tent. It is rare, but nearly every stove will eventually misbehave. If you are cooking in a tent you will end up severely burned. Just do not do it. It is not a product weakness of this hammock. 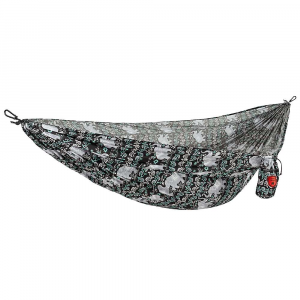 All hammocks will give you a cold rear end in the mountains unless you utilize a sleeping bag that does not compress on the bottom or a pad underneath you. This issue can be solved. 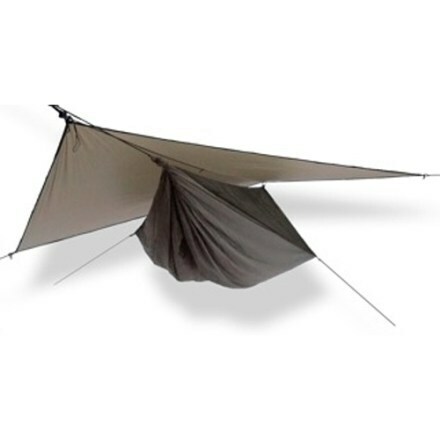 I prefer a larger tarp than the standard one that comes with the Hyperlite. 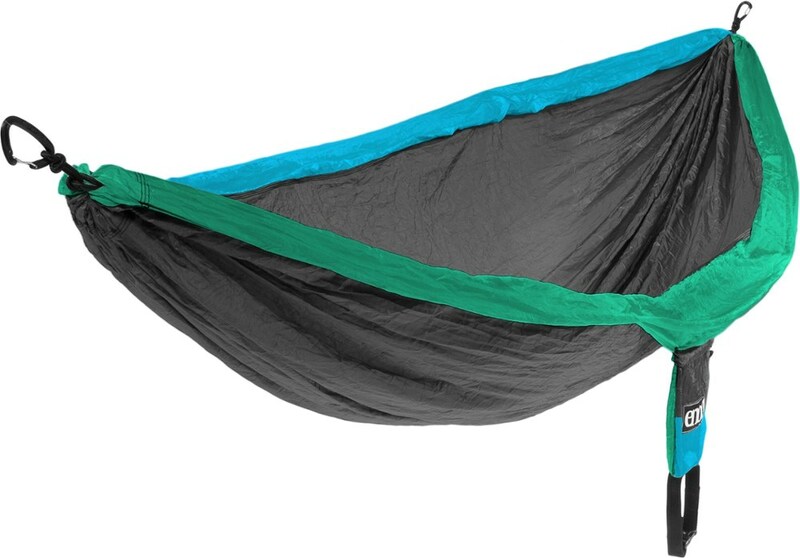 Have used my Hennessy Hammock Hyperlite more than 45 times in the deep woods (I am not a campground camper) this summer and I absolutely love it. I have experience with more than 20 different hammocks and this one is my favorite. What makes it different? One, it is not too big. I found that the bigger hammocks have a lot more bed material to wrestle with during the night. For me, that extra material tends to get in the way of a good night's sleep. Two, the hammock and the suspension system does not stretch. Almost all of my other hammocks are made of parachute cloth which stretches and contracts like air in a balloon. With hammocks that stretch when you move your head, your feet will feel the change. With the Hennessy Hyperlight the whole thing does not appreciably stretch at all allowing me to move around during the night and find my sweet spot for a good night's sleep. In the summer months I actually enjoy camping in the rain because I do not pack up and move every day. I tend to go deep into the wilderness and set up a base camp and take day hikes from there. A week of rain does not bother me and actually clears out the woods of people who are not as prepared to deal with the weather. For this reason I purchased a larger tarp from Hennessy than the standard Hyperlite tarp. 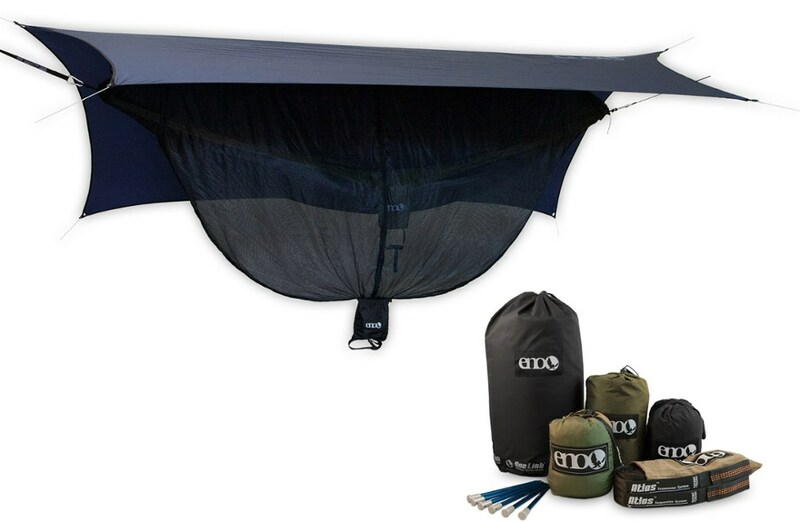 The Snake Skins are perfect for packing up a dry hammock under the tarp. 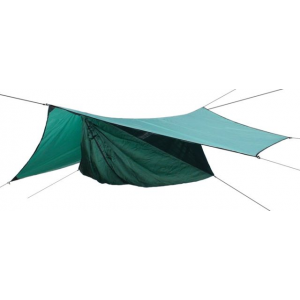 For my purpose (wilderness camping), the Hennessy Hammock Hyperlight is the best sleeping system out there. I highly recommend it. Even if you are a very experienced backpacker, remember to practice at home with your hammock system. It is not the knots and the straps that you need to practice, it is the 30 degree loose hang and the asymetrical lie with your feet a little higher than your head. If you do you will be rewarded with the best night's sleep you have ever had in the woods. Nice review, Lewis. I'd love to see some pics of your hammock setup, if you'r willing to add them. Nice review. Now as a guy whose hammock is 11' long and 6' wide, I like the big boys, but I've heard good things about Hennessy. My first hammock was a Henessey (bottom entry) and I now loan it out to friends, getting them to practice setting it up before a trip is something I stress. Thanks for the review Lewis, and hope you hang around. Nice review - I'm a big proponent for hammock camping - I started with a bottom entry Hennessy, bought a size ZIP side version and then branched into the Jungle Clark North American. I've hammocked many times in the ADK region in all 4 seasons and have learned some tips/tricks for winter season hammocking. Some comments. I help run a scout group which now uses hammocks and the biggest issue is learning knots. As we often arrive late, it can be dark when we set up and kids in the dark tying knots can be a problem LOL. As a learning guide, I now have carabiners on my hammocks lines and carry Climbing straps (as they have loops every 6 inches - and they act the same as tree huggers). You can buy climbing them in different lengths. You sling the straps these around the tree and then clip the carabiner into the loops. You can then adjust the hammock position and rope tension by moving the carabiners up and down the straps without having to untie/re-tie knots. I learned this from a youtube video and I have haven't looked back. The climbing straps aren't cheap - I paid $15 for each, so $30 a pair - but the time savings and convenience outweigh the cost and setup time - especially in the dark. I'll comment more about winterizing hammocks in the next post.